CBS has released their plans for the upcoming fall season. The network renewed most of their existing shows so it’s interesting to see that they’re doing a fair amount of shuffling. Returning shows include 2 Broke Girls, 48 Hours, 60 Minutes, The Amazing Race, The Big Bang Theory, Blue Bloods, Criminal Minds, CSI: Crime Scene Investigation, Elementary, The Good Wife, Hawaii Five-0, The Mentalist, Mike & Molly, The Millers, Mom, NCIS, NCIS: Los Angeles, Person Of Interest, Survivor, Two And A Half Men, and Undercover Boss. New shows include Battle Creek, CSI: Cyber, Madam Secretary, The McCarthys, NCIS: New Orleans, The Odd Couple, Scorpion, and Stalker. The new fall series are the drama MADAM SECRETARY, starring Téa Leoni as the newly appointed U.S. Secretary of State; NCIS: NEW ORLEANS, a spin-off of the #1 drama series NCIS, starring Golden Globe Award winner Scott Bakula; SCORPION, a high-octane drama starring Elyes Gabel, Robert Patrick and Katharine McPhee, inspired by the true story of an eccentric genius and his team of brilliant misfits working to protect the U.S. from high-tech threats; the psychological thriller STALKER, starring Maggie Q and Golden Globe Award winner Dylan McDermott as detectives who investigate stalking incidents; and the ensemble comedy THE McCARTHYS, starring three-time Emmy Award winner Laurie Metcalf, Jack McGee, Tyler Ritter and Joey McIntyre as members of a sports-crazed Boston family. Additional new series orders include BATTLE CREEK, the unique police drama series from Vince Gilligan (“Breaking Bad”) and David Shore (“House”), starring Josh Duhamel and Dean Winters; a modern take on the classic comedy THE ODD COUPLE, starring Matthew Perry as the loveable slob Oscar Madison and Thomas Lennon as uptight neat freak Felix Unger; and CSI: CYBER, a CSI spin-off from the creative team behind the signature series, starring Emmy Award winner Patricia Arquette as an investigator who delves into the world of digital crime. TUESDAYS – Television’s most-watched drama, NCIS, is back at 8:00 PM as a seamless lead-in to its spin-off, NCIS: NEW ORLEANS, at 9:00 PM. PERSON OF INTEREST returns at 10:00 PM, where it increased the time period by nearly +30% in key demographics this season, contributing to a consistently dominant night. SUNDAYS – Two key time period changes bolster the night. The renowned 60 MINUTES, television’s #1 news program, returns at 7:00 PM. Joining the night at 8:00 PM is the new stately drama series MADAM SECRETARY, providing an ideal bridge between 60 MINUTES and one of television’s finest dramas, THE GOOD WIFE, at 9:00 PM. The popular CSI: CRIME SCENE INVESTIGATION is new to the night at 10:00 PM. When it completes its run of original episodes, the new CSI spin-off, CSI: CYBER, will take over, creating an extended run of original episodes in the time period. MADAM SECRETARY stars Téa Leoni as Elizabeth McCord, the shrewd, determined, newly appointed Secretary of State who drives international diplomacy, battles office politics and circumvents protocol as she negotiates global and domestic issues, both at the White House and at home. A college professor and a brilliant former CIA analyst who left for ethical reasons, Elizabeth returns to public life at the request of the President following the suspicious death of her predecessor. The President values her apolitical leanings, her deep knowledge of the Middle East, her flair for languages and her ability to not just think outside the box, but to not even acknowledge there is a box. McCord’s team includes her Chief of Staff Nadine Tolliver (Emmy Award winner Bebe Neuwirth), speechwriter Matt Mahoney (Geoffrey Arend), press coordinator Daisy Grant (Patina Miller) and her charming assistant, Blake Moran (Erich Bergen). As McCord debates third world problems and finesses foreign dignitaries at work, that’s just a warm-up for when she goes home to her supportive husband Henry (Tim Daly) and their two bright children (Katherine Herzer and Evan Roe), where “politics” and “compromise” take on new meaning. MADAM SECRETARY is a CBS Television Studios production, in association with Revelations Entertainment. Barbara Hall (“Judging Amy”) is an executive producer with Revelations’ Lori McCreary and Academy and Golden Globe Award winner Morgan Freeman, and David Semel. The pilot was directed by David Semel. CSI: CYBER stars Emmy Award winner Patricia Arquette in a drama inspired by the advanced technological work of real-life CyberPsychologist Mary Aiken. Special Agent Avery Ryan (Arquette) heads the Cyber Crime Division of the FBI, a unit at the forefront of solving illegal activities that start in the mind, live online, and play out in the real world. She also knows firsthand how today’s technology allows people to hide in the shadows of the Internet and commit serious crimes of global proportion. While other agents search for criminals in dark homes and alleys, Ryan searches the “dark net,” a place deep in the bowels of the Web where criminals are anonymous, money is untraceable and where everything is for sale with just a keystroke. 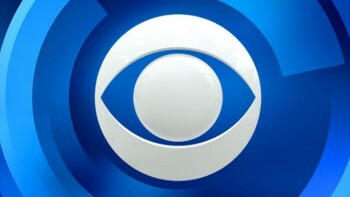 Emmy Award winner Ann Donahue, Carol Mendelsohn, Anthony Zuiker, and Emmy Award winners Jerry Bruckheimer and Jonathan Littman are executive producers for CBS Television Studios. What do you think? Which CBS shows will you be watching this fall? Stalker is one of my FAVORITES! PLEASE renew it!!!!!!!! madam Secretary love that show, didn’t even know it was canceled. So sad will watch another network if possible, take off uncover boss all fake anyway. Says Mentalist not cancelled but cannot find season premier date. When is it coming back? What happened to Intelligence? And are the shows Crisis and Unforgettable only summer hits or are they planning on returning also? Who do I talk to about bring intelligence back, I think it was a complete mistake to cancel it. There are so many fans of this show. someone in CBS has to notice. Is this site a CBS pawn? Conveniently absent – what was dropped?? You repeat much information as you wade through all of that, but you don’t even include what landed on the floor? First/last time at this site b-bye! This site has numerous articles about what’s been cancelled by CBS and the other networks. See ya! Sort of leaves me with an eh feeling.